When her husband unexpectedly died, Sinang had to take over their farm. A strong-willed daughter of an old farmer, she has the heart and the touch. 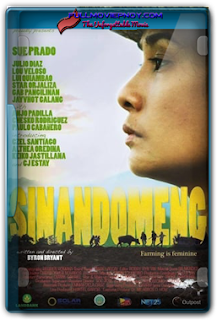 While her sisters consider selling their inherited parcels of the land to a subdivision developer, Sinang firmly refuses to sell hers. Resolutely, she plows it, nurse the rice seeds, going through the whole process with diligence. The experience is filled with happy and sad moments, still in the end — love for family and for their farm prevails.